Tasty Tasty Grandpa: Grandpa... slowly... approaches...! It's on! 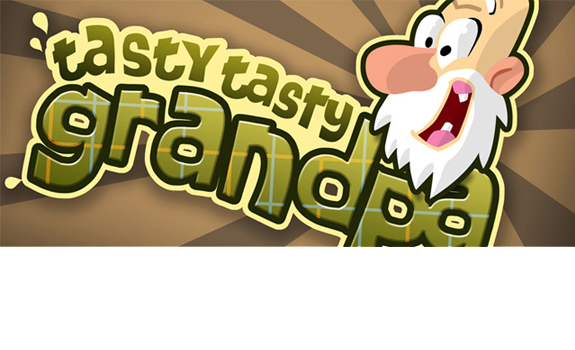 Though we've been quiet, we've been continually working on Tasty Tasty Grandpa since our new programmer, Keir, came on board. We're like a scream that's been building from a whisper. And we're so looking forward to screaming soon! Here's where we're at: with the Pozible crowdfunding money (thanks heaps, you awesome backers! ), we hired Keir to program the game. We're all working together, adding touches of code, art, design, and sound, like we're making some kind of magical soup that keeps getting more magical. Prototypes are happening, and it won't be long before we can launch our early beta builds on the select, awesome backers and other select folk (also awesome). Things are happening quickly. We'll have a fully playable, fully excellent vertical slice build to show off at the Game Developers Conference in San Francisco in March. Then not long after that, we'll release the finished game. RELEASE THE FINISHED GAME! Don't worry about setting reminders or anything... you'll hear our joyful screams from every point on Earth. 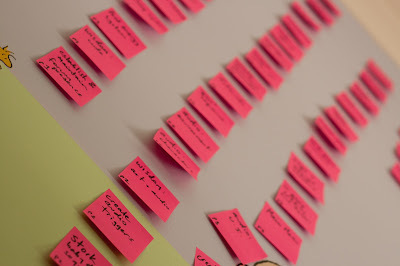 For now, we've got a bunch more tasks, scrawled on tiny squares of paper, to get done. And we're excited!